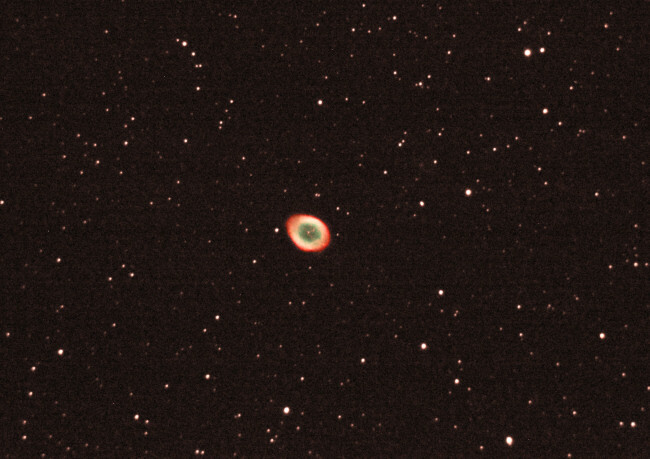 Another planetary nebula. 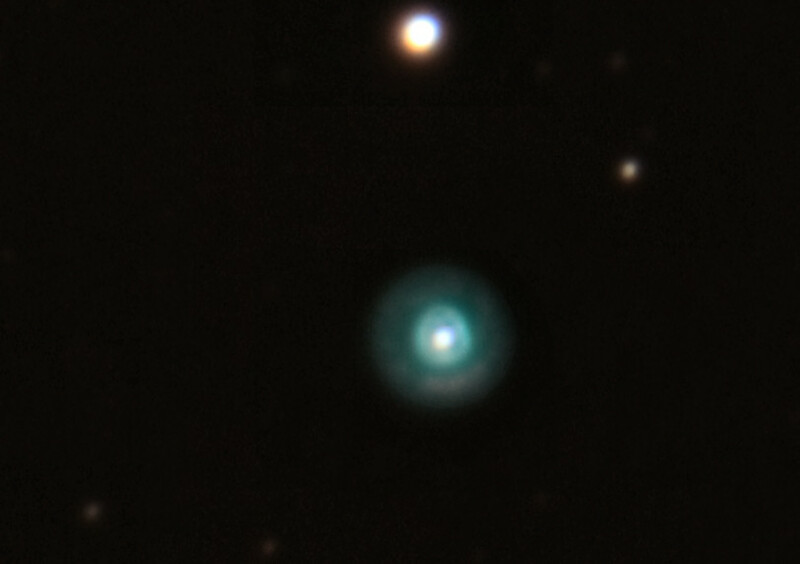 The 'Eskimo Nebula' (NGC 2392). This is in Gemini, which is coming into view later in the evening. 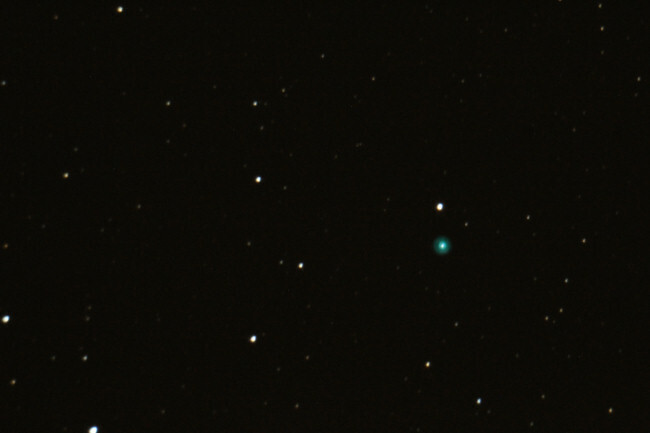 Its only 10th magnitude, but it is clearly fuzzy, and blue. It isn't difficult to spot through a telescope. Since it is so small, it is difficult to image any detail, but by using the highest resolution, and stacking 40 images I was able to get this. Hi all I took images of m2 global cluster and I stacked in deepskystacker,processed in adobe photoshop cs2.Thanks for looking.